A partnership to facilitate a sustainable groundnut seed delivery system in Tanzania was established between the Tropical Legumes III (TL III) project of ICRISAT and a local seed organization, Agricultural Seed Agency (ASA). 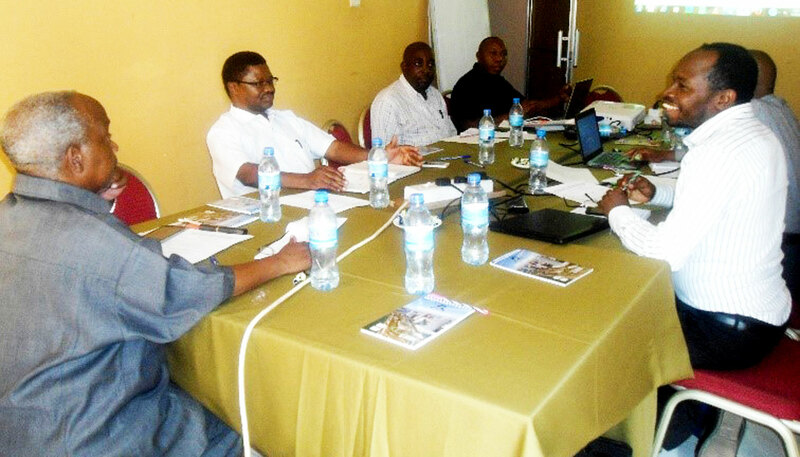 This was facilitated by the Naliendele Agricultural Research Institute (NARI), Tanzania. At a planning meeting, members of NARI, ASA and ICRISAT discussed the types of groundnut varieties to be produced and the means to make foundation seeds of improved varieties easily available across the country. ASA is a public seed enterprise that carries out production and promotion of ‘orphan crops seed’, including legume crops, that are not of interest to other seed companies. One of its core aims is to make foundation seed of these crops available nationwide. This is critical in a developing country like Tanzania, where early generation seeds, especially of self-pollinated legume crops, are difficult for farmers to access. Seed companies avoid investing in these crops because of poor rate of seed replacement by farmers. Currently, basic seeds are being produced on 45 ha at ASA’s Mbozi Seed Farm to feed the groundnut seed production systems and the entire groundnut value chain in Tanzania. Two stress-tolerant varieties that are in good demand in the market, red and tan-colored Mnanje 2009 (ICGV-SM 83708 (ICGMS 42)) and Nachigwea 2009 (ICGV-SM 01711), have been prioritized for production. Across the country, the other stakeholders are being mobilized for a better coverage of the groundnut production regions in the country. This includes more than four seed companies, over 200 seed farmer groups and dozens of agro dealers. NARI is responsible for co-facilitating the implementation of TL III in Tanzania along with ICRISAT.